Even though Kamala Khan has only been around for a few years, it feels like she’s been Ms. Marvel for ages—inspiring kids all over the world with her amazing comic book. So really, it shouldn’t come as a surprise that Kamala will star in a new kids-focused reading book that tackles issues surrounding bullying and gender-based discrimination. Ms. Marvel, a.k.a. 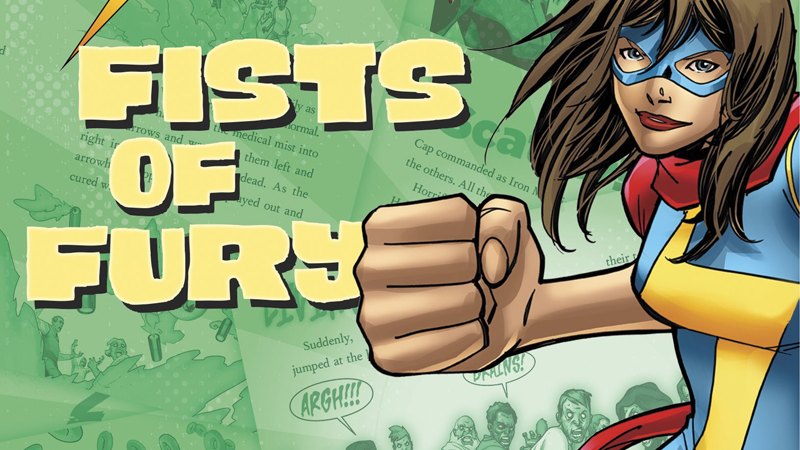 Kamala Khan, is a teenage Muslim American from Jersey City, New Jersey. After being enveloped in Terrigen Mists, Kamala now has super powers, which she uses to stop villains, just like her favorite super heroes! This story will focus on bullying due to gender and background. Given her nature as one of a scant handful of Muslim heroes in Marvel’s line up, it makes perfect sense for Kamala to be the hero headlining this book—since G. Willow Wilson took the book on, Ms. Marvel has included a frank and positive depiction of a young Muslim-American woman in the 21st century (except, you know, with shapeshifting stretch powers and whatnot). It makes sense that a figure like that is something Marvel wants to promote to young children, and inspire them with. That, and Kamala Khan is, in general, totally rad. You’ll have to wait a while before you get the chance to give this any young kids in your life though: It currently has a release date of October 3rd, 2017.